This wasn’t originally going to be a post, but of course that’s how so many of these things start out. 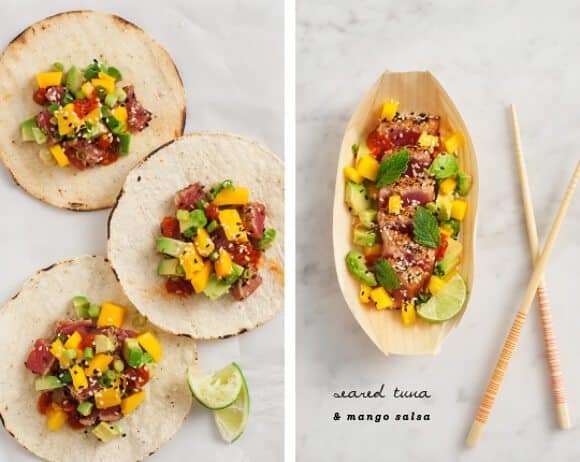 I was making dinner one night last week… the mango salsa I usually make, on top of seared tuna. (thanks to my Aunt Judi for the suggestion!). 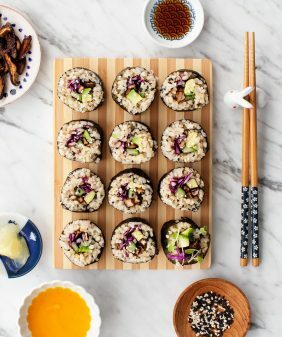 I started preparing my tuna the way I usually do – marinated in soy sauce and maybe some ginger… pressed in sesame seeds, with a drizzle of sesame oil at the very end. That’s when I had the “ah-ha moment” that those asian-inspired ingredients would make for a nice spin on the salsa itself. So there you have it – my fusion version of mango-avocado salsa. 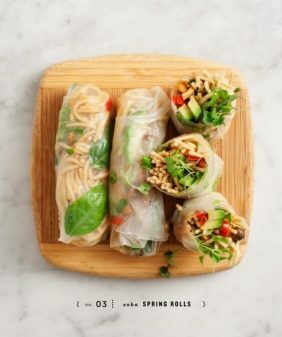 I’ve made a few variations since then (listed below) – I particularly like it with a splash of rice vinegar or yuzu and a few sprigs of mint. And of course the tuna isn’t completely necessary – serve it however you like! mix everything together, taste & adjust seasonings. Let it chill for a bit (if you want), and serve however you like - on fish, meat, tacos, tostadas (pictured), with chips, or in a salad, etc. marinate the tuna in some soy sauce, ginger, and pepper. Let it sit for 15 minutes or up to an hour (in the fridge). Spread sesame seeds on a plate and press the tuna into them, covering both sides of the tuna. Heat a pan or grill to high heat. Sear tuna in hot pan for about 30 seconds per side. Remove, let cool for a few minutes, and slice. 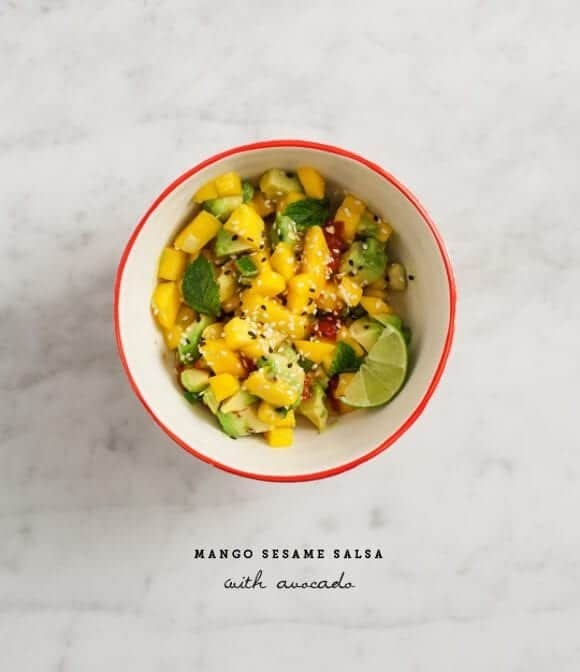 Taste and season with salt & pepper if necessary.Top with sesame mango salsa. I am runth over by mangos this season, I can not wait to try this! 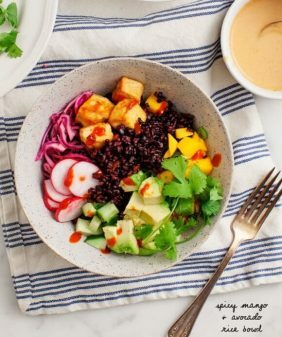 the salsa would be great on tofu too, simply grilled a served with a bowl of rice. Yum-o! 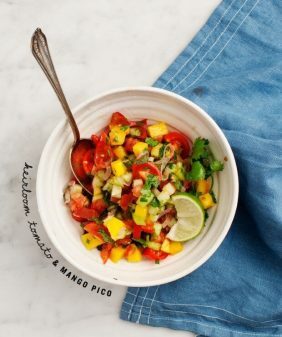 I absolutely L.O.V.E mango salsa… and this sounds amazing!! 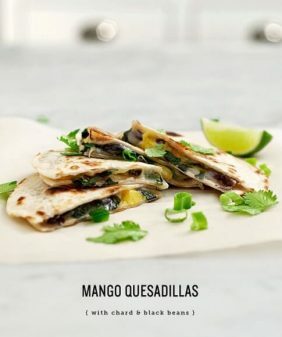 mango AND avocado?! I definitely need to give this a try!! The best ideas really do just happen! This salsa is calling my name and so is the seared tuna! Perfect meal! I absolutely love a mango-sweetened salsa. I usually also put tomatoes in mine, so it’s more like a traditional salsa, but this looks like it would be so good with tuna. 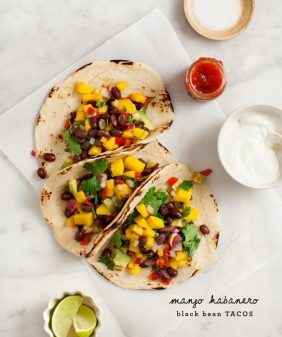 Mmm… can never resist mango salsa!! So refreshing!! What a beautiful salsa! Looks like it will brighten up just about any meal. Isn’t it funny how things come together like that? This recipe makes me want summer to never end. I tried vegan version of the dish, was definitely amazing!